Windows are the key to a good home. They allow natural light to bathe your house in warm sunshine, and can also provide insurance, as well as other benefits if they’re properly insulated. Up to 60% of your home’s air, both hot and cold, can easily escape through single pane windows. When you stand near any non-insulated window, you’ll feel drafts’as well as a substantial increase in your heating and cooling costs. Installing insulated windows is a large expense since costs range from several hundred to a thousand dollars per window, but you’ll quickly make that money back as you lower your heating and cooling expenses by at least 10%. Barking dogs, busy roads and other outdoor sounds create unwanted noise inside your home. With insulated windows, you won’t hear as many disturbing noises and will be able to enjoy your sanctuary in peace. 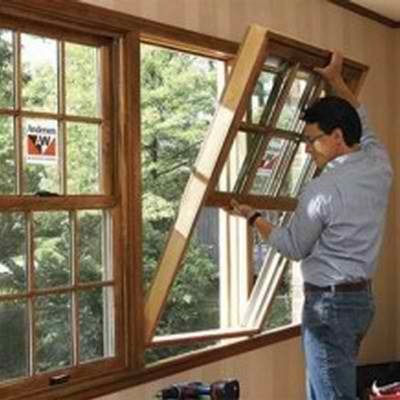 Single paned windows break easily, which makes it easier for burglars to enter your home. Plus, your older windows may not feature secure locks. You’ll protect your home, possessions, and family when you install secure insulated windows. With this benefit, you could also save money on your home’s insurance costs. Homes cause up to 28 % of all carbon dioxide emissions. Double paned insulated windows cut those emissions and protect the environment. You can go green in a cost-effective manner that benefits everyone! Thermal reflective plastic attaches easily to drapery rods or hooks on a window’s four corners. While it filters roughly half of the natural light, you can still see outside and remove the plastic whenever you want. In the long run, insulated windows provide numerous home insurance and other benefits. You should strongly consider replacing your home’s old windows with insulated windows as soon as possible. As always, contact Tracy-Driscoll at 860-589-3434 if you have any questions regarding your home insurance policy.